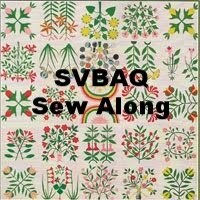 The Constant Quilter: Congratulations Mrs. Sew and Sew - It's a Quilt! 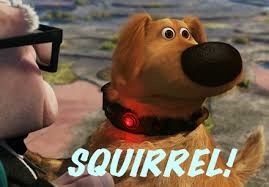 Oh wow !! What a masterpiece Wendy !! You rock !! Very nice finish! Love that you are really done with that pot holder method. Your colors are very nice as well as the setting. Well Done! Wow, this is just gorgeous! I absolutely love to dots around the edge. If this is the start you off to this year, no telling what else is in store!?! What a treat to see this quilt all together. It's beautiful. 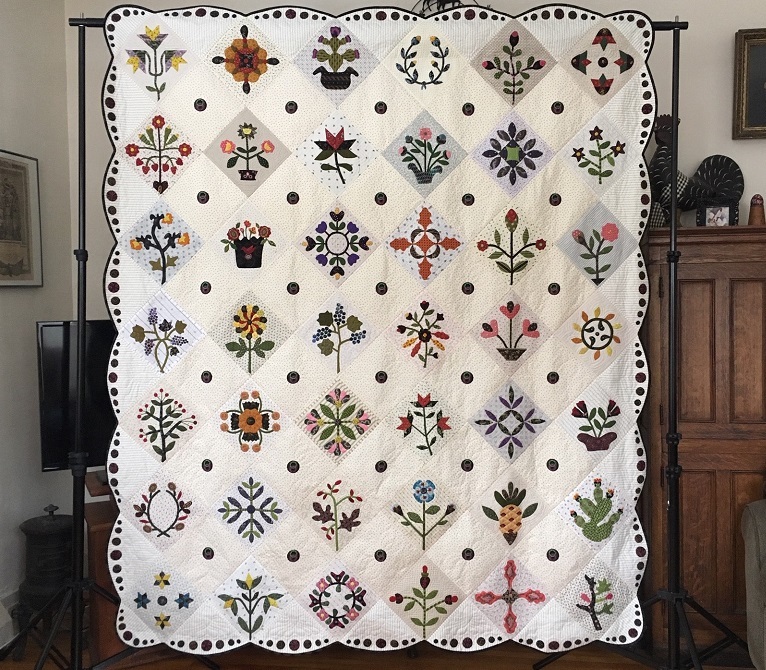 There are just not words for that gorgeous quilt! A labor of love for sure. Every time I see your finished potholder quilts I wonder how the finish compares timewise with the way most of us typically finish a hand quilted quilt. 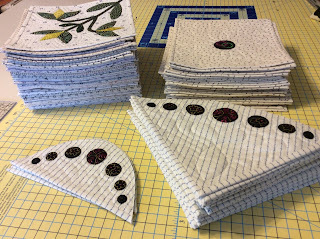 It seems so labor intensive to hand sew all the finished blocks together yet probably much easier while hand quilting. Fascinating method! Congratulations on a phenomenal finish! I have enjoyed watching your progress on this quilt. Whatever name you decide on it is certainly a delicious looking quilt. 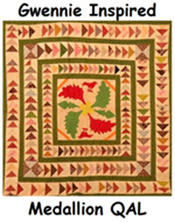 I would like to try the potholder method on a quilt sometime. Maybe a small one to start. 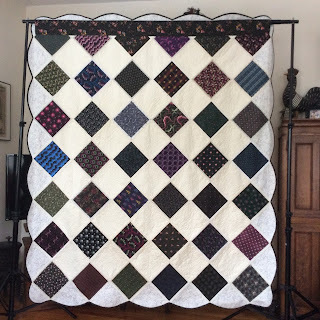 I love the quilt and even the name you gave! What is even more amazing is that the back is as gorgeous as the front! BRAVO, Wendy. You are just fabulous! Your quilt is just beautiful! The pot holder technique looks so fun—I may have to give it a try some day. In the meantime I will be admiring your wonderful quilts! Wendy, your quilt is stunning! Thanks for sharing your process. That's as valuable to your readers as the final product. Happy New Year! An amazing heirloom finish! We are honored you chose our pattern to make a milestone anniversary quilt. I think the 19th century makers of the original would be honored as well. That is such a pretty and amazing quilt! Whoop! Whoop for the first finish of 2019!!! What a incredible masterpiece. I'm alway in awe with your beautiful work. I love the name you've choosen. It would be wonderful to see it in person someday! Beautiful finish! The scalloped borders and dots are the perfect embellishment for the blocks! What a wonderful finish! Love how it all came together with that fancy scalloped border. You are amazing! Beautiful!! 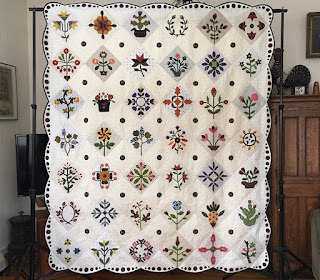 Congratulaions on the finish - I love this quilt! Being new to the potholder quilt technique, I'm just wondering how you join the 'potholders'? By hand or machine? The name for your quilt seems most apt!